Denny Jump (Bellevue, WA, United States) on 10 August 2014 in Transportation. 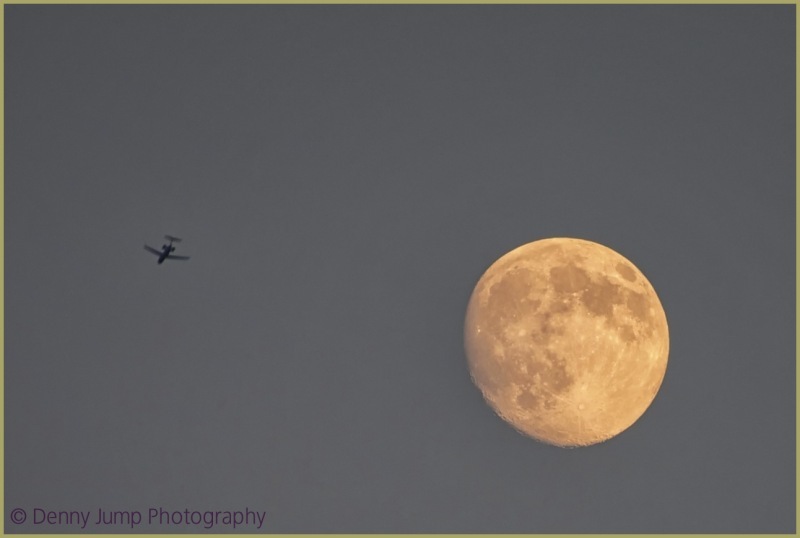 A short break from the Cape Cod series - Frank Sinatra showed up alongside in his private jet as he sang the famous song.... crooned it to the August "Sturgeon" Moon - (another "Super Moon)! Perfect association shot here - I must make an effort to see this 'super moon'. Fabulous image! I love the color and detail! It has been cloudy here the last three nights so I was disappointed that I could not at least try and get a picture of the moon. excellent work - especially the sharpness and detail of the moon! excellent work on the exposure too! Well done. Great shot with the plane as an extra element.